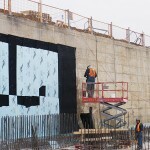 Waterproofing | Algoma Contractors | A premier provider of structural rehabilitation, waterproofing and protective coatings services in Southern Ontario including Niagara, Toronto, Milton, Guelph, Kitchener, Hamilton, Burlington, Grimsby, Stoney Creek, London and Barrie. 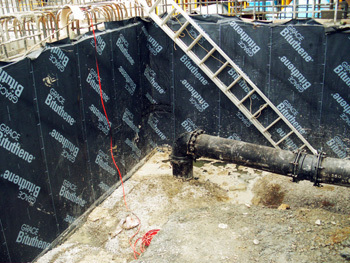 Waterproofing protects against water migration, water can migrate through; rain, air/ vapour intrusion, leakage and ground settlement. 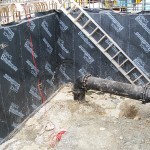 There are several types of waterproofing; ones that form a continuous adhesive bond to concrete poured against it, the type that is applied in a self- adhering sheet form and trowel spray or brush applied versions, all of which are a must for building integrity. 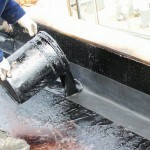 – We are certified applicators of: Tremco, Gemite, Grace, Soprema and W.R.Meadows. 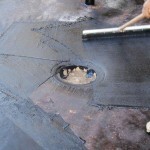 – If you have water damage, ”a leak”, we can inspect the condition and make recommendations that best suit your needs. 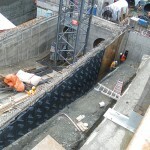 – We have trained equipment operators in cases where the requirement is to excavate down to the affected area to solve the problem.